The Piton Foundation in Denver assembled an impressive group of leaders from government, education, business and the community to screen Two Million Minutes. Bob Compton opened the meeting and following the screening, he then moderated an all-star panel in discussing "What Should Colorado Do in the Face Rising of Global Education Standards." The plush, private MPAA screening theater is one block north of the White House. On January 29th, we had a Who's Who of influential Department of Education officials, political advisers and national media reporters attend a private screening of Two Million Minutes. Governor Roy Romer, Chairman of ED in 08, opened the screening with a passionate speech highlighting education as the most significant strategic issue America faces in this century. 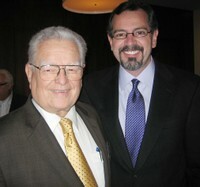 Governor Romer went on to recognize Bob Compton, Executive Producer of the film Two Million Minutes and to characterize the documentary as putting a human face on the discouraging statistics of how American students fare in the Global Education race. A robust and thought-provoking one hour question and answer session followed the screening of the film as ED in 08 Executive Director Marc Lampkin joined Bob Compton in fielding a wide array of penetrating and challenging questions. 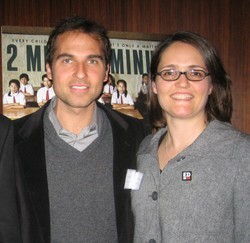 Two Million Minutes Producer/Writer Adam Raney and Holly Zardus from ED in 08 were also on hand to answer questions. 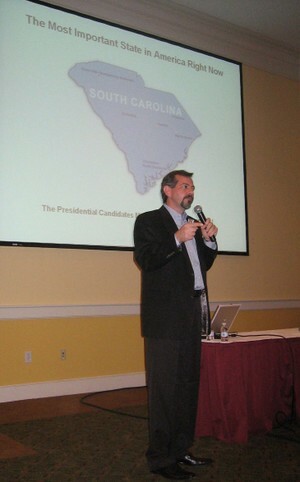 South Carolina was another great screening for Two Million Minutes. 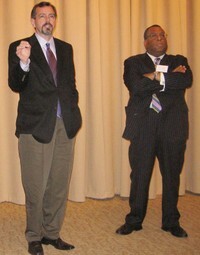 We had nearly 200 people in attendance with a broad representation of socio-economic and ethnic groups. It was one of the more enjoyable screenings, first because South Carolinians are most polite and welcoming people. 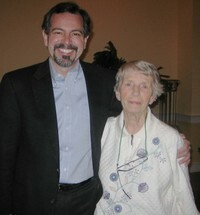 Second, my 83 year old Aunt Maragret drove in from the family farm in Winnsboro to attend. There is nothing so enjoyable as having family at a screening and having the down-home honest questions that come from hard working farmers. There must be something magical about the freezing temperatures of long Iowan winters - they seem to make the hardy people who live in Iowa warmer and more friendly than is typical. 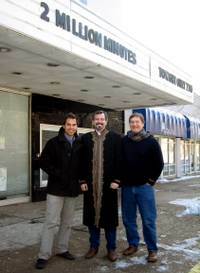 The Two Million Minutes team could not have felt more welcome or received more sincere hospitality for our screening at the Varsity Theater in Des Moines. From my cab driver Bob, to the great staff at the 98.3 WOW-FM radio station, to "BC" the owner of the theater - we were treated like family. This was our first foray into the Primary States and it was exhilarating. I can tell you from first-hand experience now with nearly 200 audience members, Iowans are smart, knowledgeable on the issues and they really enjoyed Two Million Minutes. The Q&A period ran well over an hour and the audience was great -- inquisitive and thoughtful about what they had just seen in the film, and eager to have an engaged discussion about policy and leadership for American education. The exception was one education Professor from a local college - who "held forth" at some length in the Q&A session, called my film "a lie" and insisted that I become "au courant" in what he reverently called "THE LITERATURE". He then turned on his heel and stormed, dramatically, out of the theater - his mind as open as it was when he came in. I reflected on the literature I know and I just assume he was intending to cite Shakespeare's Julius Caesar - "The fault, dear Brutus, is not in our stars, but in ourselves..." - our colleges of education, I guess he means. I don't know, maybe he had different quote in mind from the LITERATURE. The Iowa screening was our very first major event with ED in '08 - capably led by Holly Zardus from the headquarters office in DC, and supported by a terrific ED in '08 field team in Des Moines, we were able to get the word out about this first public SNEAK preview of Two Million Minutes in only 2 full days. Our Silicon Valley screening was the best one to date. 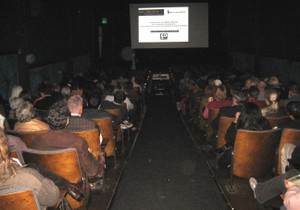 We played to a packed house at the Aquarius Theater in downtown Palo Alto. This was easily our most highly educated, experienced, globally aware crowd, but like all those before them, including the Harvard Graduate schools, they failed the Global Education Awareness Quiz I have every audience take. Even in Silicon Valley there is a low level of understanding of the Chinese and Indian K-12 education systems. Though they failed the test, they did score higher than any other audience. 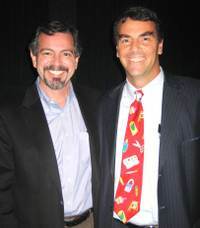 It was great to have Silicon Valley venture capitalist Tim Draper attend the screening. Tim is one of the experts in Two Million Minutes and brings a vast knowledge of global capital flows, Indian and Chinese engineers and expertise on the US education system, having served on the California School Board. The Q&A period was very engaging with sharp questions and comments from a well-informed audience and Tim and myself able to give our first hand accounts of what we have experienced in both India and China. Next screening - Des Moines Iowa Dec 13th and into maw of the presidential political battle. Thanks to the organizational efforts of Harvard Law student Elena Medina, we had the opportunity to screen the 4th cut of Two Million Minutes for a room full of Harvard graduate students from the Law School, the Kennedy School of Government and the School of Education. We certainly felt welcomed and we were delighted to get such a large, engaged and animated crowd on a Friday night. They not only enjoyed the film – they stayed for over two hours to discuss and debate the implications of the explosion of educated talent emanating from India and China – for the US and for US education. It was a lively, sometimes even feisty, debate. Surveying the students before the film, we learned that only a couple had visited Indian or Chinese schools, and none were aware of the magnitude of the school systems in these countries - both 4.5 times larger than the US school system. So it was gratifying to be able to share some new information through both our film and our first hand experiences in India and China with these future leaders of US government and the US educational system. Even though our film was their first introduction to high school in India and China, the graduate students proved to be quick studies. They were able to articulate strong opinions on the flaws in the other education systems and were very adept at defending the strengths of the US education system, such as equal opportunity for all and the quality of outcomes. The Graduate Education School students, in particular, had strong views on the film. Most argued that the US education system is superior to India and China because it puts less stress on the students and less emphasis on rote learning of math and science. A few in the group, however, seemed open to the notion that we might have something to learn from India and China. One thought bandied about was what if we treated education with as much intensity, investment and passion as we do high school athletics, students might benefit intellectually. Given my observations and experiences in all three countries over the past 30 years, I have to agree with the latter group. Our current “group think” about education must change – more of the same is not going to prepare American students for global competition. I suspected this thinking would be the minority at Harvard, but I was surprised by the passion with which many defended the status quo…and therein is the crux of the problem, in my view. Fortunately, there are people in education who want and demand change, and yes, they're a minority voice. We have one of the most respected voices in our film -- Shirley Ann Jackson, who authored the report "The Quiet Crisis" which led to "Rising Above the Gathering Storm." I’m sticking with her. All in all, I have to admire the self-confidence the “best and the brightest” at Harvard demonstrated in the discussion and I appreciated the opportunity to have such a lively discussion with so many smart future leaders. When we sat down to create this film, we set out to make a film that would shake people up -- not put people to sleep. Looks like we've been successful.